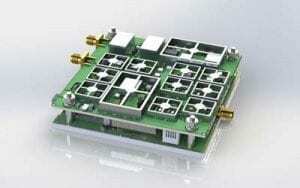 NuWaves recently finished development on a high-powered triplexer to support GPS-III communication services. 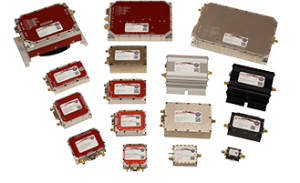 NuWaves’ triplexer is a unique and advanced piece of hardware that serves a specific purpose in satellite communications. GPS operating frequencies have the unfortunate fate of residing in a narrow range of frequencies that induce an effect known as multipaction. Multipaction is a phenomenon in radio frequency (RF) amplifier vacuum tubes and waveguides, where, under certain conditions, secondary electron emission in resonance with an alternating electric field leads to exponential electron multiplication, possibly damaging and even destroying the RF device. This destructive phenomenon occurs when operating in a vacuum over a narrow range of frequencies that include GPS operating frequencies, and its likelihood of occurring increases as you increase your RF operating power. This has been a serious problem for GPS satellites operating in space as they are operating in a vacuum at high power over GPS frequencies, which will drive multipaction effects to occur. For years, RF engineers have been investigating ways to prevent multipaction effects from occurring, but it has been a slow process that has limited GPS capabilities in the past until this problem is solved. NuWaves Engineering was recently able to successfully develop a high-power triplexer for integration on the next generation of GPS-III satellites that has been tested to operate at power levels 3 dB higher than normal operating conditions, exceeding 800 Watts of RF power at L1, L2, and L5 bands without inducing any multipaction effects. This testing was performed over a range of conditions including temperature, pressure, waveform schemes, duty cycles, and modulation types. The initial test results were very promising, as the triplexer was able to withstand the maximum RF output power of the available testing equipment without inducing any multipaction effects whatsoever! 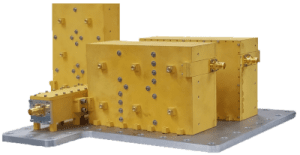 As a result, NuWaves still has not been able to test the limitations of this high-powered triplexer and can only provide calculated estimates for how much RF power it can handle before multipaction effects begin to occur. 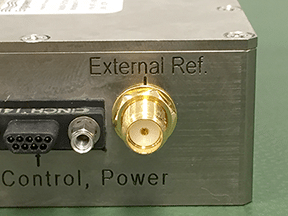 Figure 1: NuWaves GPS-III Triplexer has been tested to withstand multipaction effects while filtering signals that exceed 800 Watts of RF power. Over the upcoming months, NuWaves will be preparing its GPS-III triplexer, shown in Figure 1, for another round of multipaction testing, this time operating at up to 1,400 Watts of RF power to see if we can identify the limitations of this high-powered GPS filter. If you have an interest in learning more about NuWaves’ filter design expertise, read up on some of our recent filter design projects to learn about our design experience and capabilities.